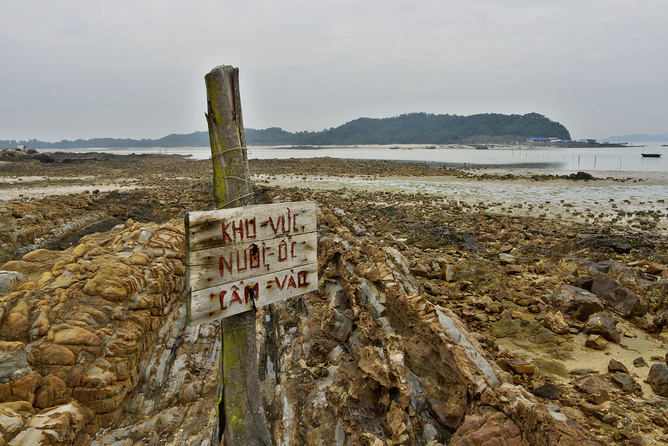 Vietnam has thousands of kilometres of coastline, and may have thousands of shipwrecks. Many of these wrecks would be loaded with archaeologically fascinating and significant items. But the country has struggled to preserve its underwater cultural heritage. To date the protection and preservation of Vietnam’s underwater cultural heritage, such as shipwrecks, has had a low priority. Vietnam has a very long coastline (more than 2,000km) and seafaring activity has been extensive for at least 2,000 years. Vietnam is centrally located in South East Asia and was on the “Maritime Silk route” that ran from China to the west via the South China Sea. Very little is known about how many shipwrecks, or other underwater cultural heritage sites, might exist in Vietnam. Almost no maritime archaeology survey work has been done, but I think it is likely that there will be thousands of sites. Unfortunately, the little work that has been done in Vietnam in the past has often been done by, or in association with, treasure hunters. Large quantities of underwater cultural heritage have been sold. For example, thousands of ceramic artifacts from shipwrecks located at Vũng Tàu, Ca Mau, Binh Thuan and Hoi An have been sold at auction.